De Britse boekenhandel Waterstones heeft een nieuwe synopsis voor ‘Lady Midnight’ op hun website gepubliceerd. Glitz, glamours and Shadowhunters abound in this heartrending opening to Cassandra Clare’s Dark Artifices series, a sequel to the internationally bestselling Mortal Instruments series. It’s been five years since the events of City of Heavenly Fire that brought the Shadowhunters to the brink of oblivion. Making things even more complicated, Julian’s brother Mark – who was captured by the faeries five years ago – has been returned as a bargaining chip. The faeries are desperate to find out who is murdering their kind and they need the Shadowhunters’ help to do it. But time works differently in faerie, so Mark has barely aged and doesn’t recognize his family.Can he ever truly return to them? Will the faeries really allow it? Twee andere synopses zijn te lezen op de website van Cassandra Clare en de officiële Shadowhunters website. Nu willen we natuurlijk gelijk het boek lezen! 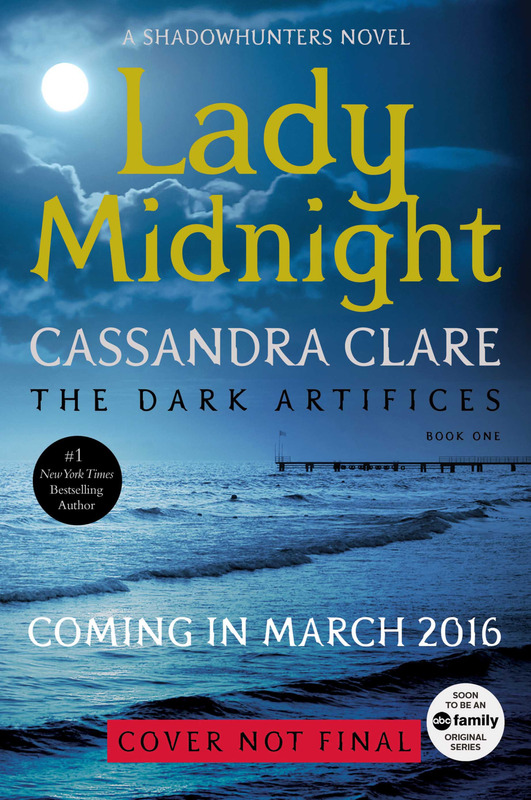 ‘Lady Midnight’ komt uit in het Engels op 8 Maart 2016. Over een eventuele Nederlandse vertaling is nog niets bekend.